The biggest changes can be seen on the Users page where we've introduced a 'Bulk Actions' button. This makes it easy to update multiple user accounts at a time. 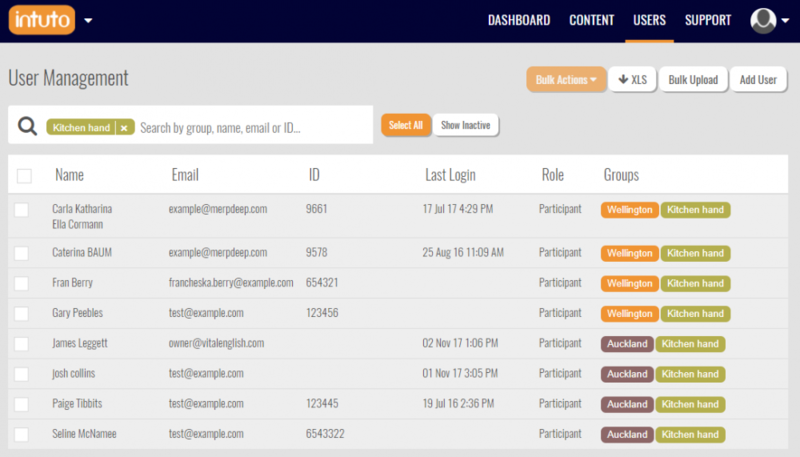 On the Site Settings - Groups page, shown below, you can create groups to organise everyone that is in your Intuto site. Each month we try to add new functionality and tools for our customers, but just as important is improving what we currently have. We've completed a lot of minor fixes and developments, which should improve your experience in Intuto.